Dr. Walker is Professor of Music and Director of Keyboard Studies at SDSU, and the first Patricia Pierce Distinguished Artist in Residence. He also holds the position of principal piano, harpsichord and celesta for the South Dakota Symphony Orchestra. 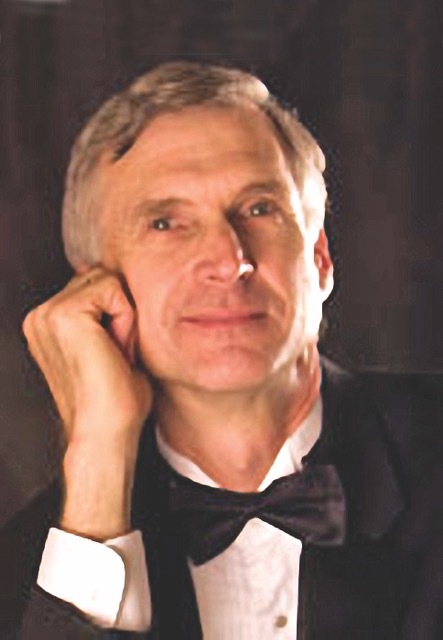 He has presented numerous piano workshops to music teacher associations and is frequently called upon to serve as a piano festival and competition adjudicator. He has composed and recorded piano accompaniments to the Cyrille Rose 32 Etudes for clarinet, Ferling’s 48 Studies for Oboe or Saxophone, published by Carl Fischer. His most recent publication is a six-book series of recital pieces for various instruments entitled “In the Attic” series, also through Carl Fischer.